Helen Lieberman. Photo Antoine Gazeau. Years after apartheid—the official policy of racial segregation—ended in South Africa, the word is still powerfully linked with that country. 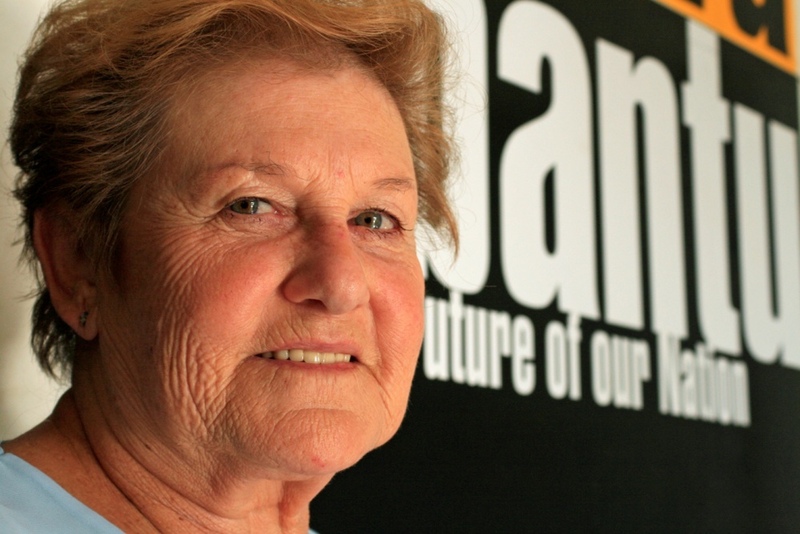 Helen Lieberman did not wait for apartheid to end in her country before beginning to address the most pressing needs of the poor black population—lack of healthcare, education, and job opportunities. Her earliest efforts grew into something larger than she could have imagined. “I thought I was looking into what was hell. There was squalor, poverty, and fear. The people’s fear was what struck me most. It was so overwhelming and terrible. I couldn’t imagine this existed in my own country and I knew I could not live and watch it happening, without trying to help.” This is what speech therapist Helen Lieberman thought in the early 1960s as she drove into Langa Township to look for a child she felt needed more therapy. Her visceral reaction to what she saw inspired her to begin her remarkable project. It started very simply. Noticing that there were only white dolls for all of the children to play with, Lieberman began to make black dolls for the children as well. Since these children were often left alone all day, she established a childcare service to deal with the issue. From this beginning grew projects such as setting up places to teach women to sew and centers for seniors to find support and opportunities to learn skills to find employment. Her intention was to help others learn to help themselves, but it was still the time of apartheid, and she had to be careful. While her projects were kept low-key, she was repeatedly harassed and threatened by the police for engaging in “subversive” activities. Undaunted, Lieberman continued her work. As with the rest of the world, she was well aware of the horrors of the Holocaust, and as a young Jewish woman, she felt a greater sense of urgency to help those who were suffering simply because of their race. When South Africa finally abolished apartheid, the black population still faced serious issues such as poverty, illiteracy, and lack of basic healthcare. The work Lieberman had started was growing, but now the programs needed a larger structure within which to operate, and by 1992 she had founded Ikamva Labantu, meaning “the future of our nation.” This community-focused organization and its programs help thousands of adults and children every year. Ikamva Labantu’s motto is, “Nothing about us without us,” and it is true to its word. Every community it serves must not only express a need for services, but a clear plan for dedicated community involvement. Creating a kind of self-sustaining community is only possible if the members of the community are actively engaged in learning how to help themselves and others become independent. Children and seniors are their priority, being the most vulnerable in a society, but everyone benefits from Ikamva Labantu’s support and training services. Helen Lieberman never set out to create a vast network of programs to help those who needed it across South Africa, but Ikamva Labantu is proof of what can result from one person who refused to ignore this large problem. Where once the apartheid government was a threat to her, the current government is working to ensure not only the survival of Ikamva Labantu, but to ensure that those who are suffering may become productive and independent citizens. This was, and continues to be, Helen Lieberman’s goal.